The spectacled caiman (Caiman crocodilus) is a smaller relative of the well-known Florida resident, the American alligator (Alligator mississippiensis). 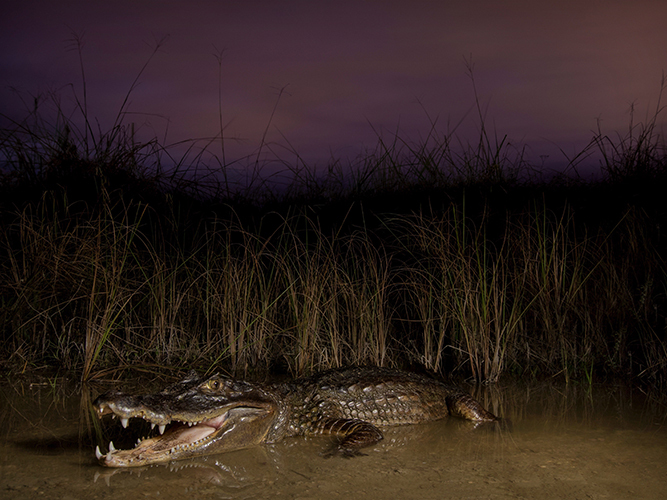 Caiman are an introduced species in Florida with a native range from southern Mexico to northern Argentina. Following protective legislation to prohibit trade in American alligators in the early 1950s, the number of imported caimans into the United States as pets markedly increased. There are now breeding populations in localized areas of Miami-Dade and Broward counties, due to escapes or deliberate releases. 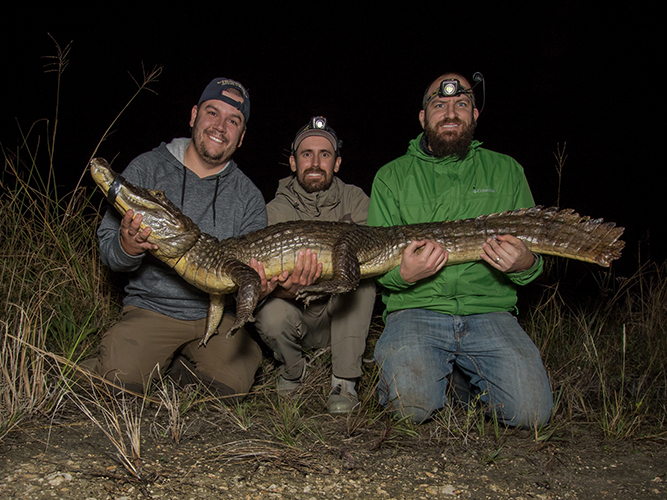 Caiman are established within or adjacent to two important Everglades restoration sites (Biscayne Bay Coastal Wetlands and C-111N Spreader Canal Project), indicating potential to become a widespread problem in the Everglades. Spectacled caiman occupy the same habitat as our native alligators and crocodiles, competing for food and other resources. They prey upon birds, small mammals, fish, and other reptiles, posing a threat to native wildlife. Ellis, T.M. 1980. Caiman crocodilus: an established exotic in south Florida. Copeia 1980: 152-154. King, F.W., and T. Krakauer. 1966. The exotic herpetofauna of southeast Florida. Quarterly Journal of the Florida Academy of Sciences 29: 144-154.